Our range of Indoor Mobile Signal Antenna is appreciated for grasping the signals from various frequencies, even in extreme environmental conditions. This antenna serves as powerful amplifiers that will immediately boost your cell phone network to make your wired phone experience smoother, more enjoyable, and more reliable. Mobile Antenna comes with full kits and installation process is very easy can yourself, no need for any technician to installation. 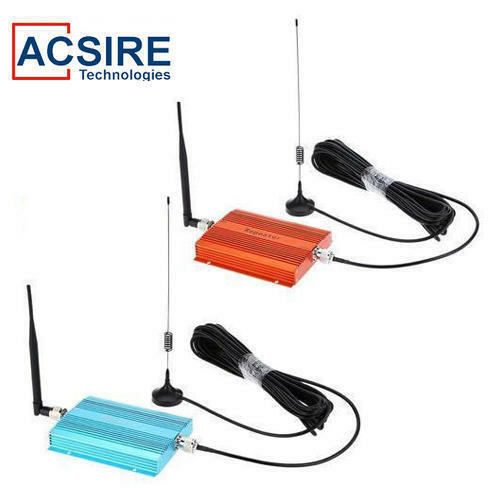 Established in 2014, Acsire Technologies (Unit Of Greenlip) is an eminent company in the market, involved in manufacturing, trading, and importing a comprehensive consignment of Mobile Signal Booster, Cable Connectors, and Mobile Signal Antenna. Underneath and besides these we provide Mobile Signal Booster, Signal Antenna, Cable Connector, GPS Tracker and more. Manufactured using supreme-class basic material along with modern machines and tools, these products could be accessible in miscellaneous sizes, designs and provisions at competitive rates. Highly known and commended in the market owing to their taste, aroma and top quality, all these products are provided by us in standard and modified forms to our patrons. 3rd Floor, E- 147 , Jhilmil Colony.